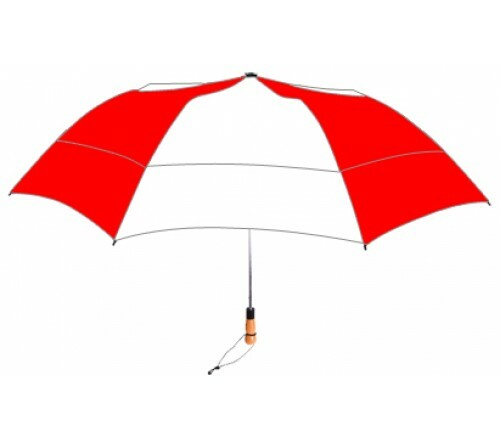 Personalized red & white 58” arc vented little giant folding umbrellas can easily bring you leads due to its impressive color profile. The combination of red and white is considered very authentic and it possesses immense ability to trigger a feeling of reliability in onlooker. 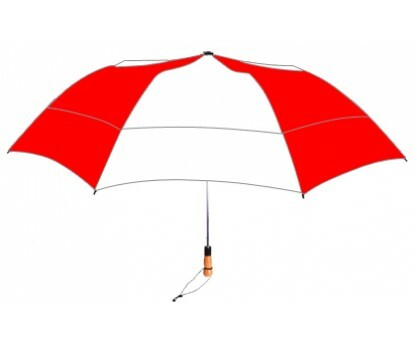 Features – largest folding vented 58” arc red & white canopy, automatic open function, folds to just 22”, extra strong hexagonal chrome shaft, fiberglass ribs, wooden handle with wrist wrap and is offered with matching fabric case with shoulder strap. Imprint area - 6”H x 8”W.